Answer to Frequently Asked Questions by Newbie Freelancers – Where to get started freelancing in India and Why College Grads Should Consider Freelancing as a choice of career? Online freelancing is not considered as a career option by college grads in India and still remains as a personal choice of being a freelancer. There are lot of questions in the mind of the college grads as to how to get into online freelancing. So I will try to answer such questions so that Indian college grads can think about freelancing as a choice of career. I started understanding online money making game especially freelancing in 2002. I wanted to get myself educated about stuffs I can do online in my spare time. I am member of Elance since August 2002. 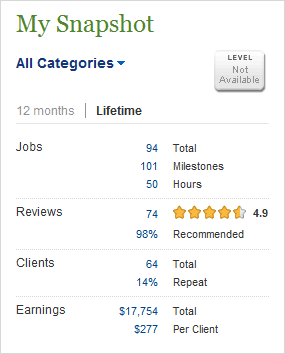 I was member of vWorker (Now acquired by freelancer.com and was RentACoder at that time) since October 2003. In December 2003 I completed my first homework help type of project and earned my first $$ from RentACoder online when I was still in college. I could not get the money in my hands because at that time PayPal did not allow withdrawals in India but what it did was it made me to believe that money can be made online doing freelancing. As of today Freelancing is very small percentage of my total income online but still I don’t give up freelancing and have no plans to give up as well because for me it has more advantages than disadvantages. Yes you can say that freelancing has changed a lot for me in the given scenario. I started freelancing doing homework help type of jobs in C-C++ and as of today I mainly work with vBulletin, WordPress and AWeber and also provide consultation for Internet Marketing as well as Equity Investment. Now this article is for new freelancers in India and the most first question that comes into the mind of new freelancer is where to find freelancing work to start with? Where to get started as freelancer? From my way of freelancing you may start to think the best place to start freelancing is where I started i.e. from bidding and freelancing sites but the reality is slightly different. Actually if you know the answer to the question – Why I started in 2002 you could better understand where to start freelancing. When I was in third year of my Engineering I (actually a bunch of us) was keen on doing some live projects. I started to tell anybody and everybody I meet about what I can do and it’s amazing what happens when you simply just talk about what you do to everyone you meet and share your business card. I got my first project to develop software using a direct referral. I was not expecting any money from it and wanted to learn the concept of understanding client requirements and things like those but actually I was paid really good amount of money for getting the software done. Remember I was not expecting anything and so any money will always be good money for the task I did. 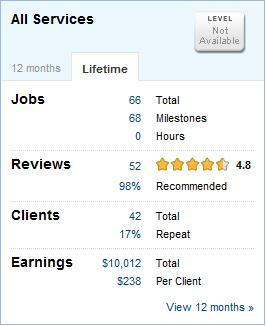 So to answer the question where to get started as freelancer – Direct Referral. This is where I started and Direct Referral is where I think every freelancer should start. This will allow you the space you need when you are getting started. Once started you can think about Direct e-mail or even calling. Then you can move to Social Media sites like LinkedIn to let people know what you do or what you can do. Once you have good set of work experience, you can showcase your portfolio and get into job boards and bidding sites like Elance, vWorker, oDesk. When I was doing my Job from 2004 to 2008 I was not very active member of the bidding sites but that did not stop me from earning doing freelancing from direct referrals and also from my forums where I used to market my services in my sig and sometimes people used to hire me for advice. The key here is “contributing” to the community and learn in the process. As of today I rarely add new clients because most of my freelancing work comes from repeat business and maintenance of existing clients but yes I get lot of clients through my Internet presence on social networking sites like LinkedIn. It means 7,000 USD or 350,000 INR annually. Note that the above numbers do not include my direct clients. Why College Grads Should Consider Freelancing? Yes I know that Indian education still lack good solid foundation for Web technologies but still I think it includes lot more things that it used to be in the past. My kid who is only 7 years old knows how to play minesweeper. If I remember correctly I learnt minesweeper in college. Opportunities for graduates to use their internet skills to impress potential clients and win projects are lot more these days. I know I have not answered lot of questions that may be in the minds of newbie freelancer’s in India and the reason behind it is – I did not intend to make this post very lengthy. So I will answer more freelancing questions in the upcoming posts and link them here. If you have question in your mind about freelancing post in comments below and I will be more than happy to answer them all. I am trying to understand the legal implications of doing freelance work alongside a 9-6 job in same industry. Assume Mr X is a Test Manager in an IT co and is also working as a freelancer (offering testing work) for additional income. Is that legal in India? Can the IT company sue him? What if Mrs X (his wife) who is NOT in a IT co/ IT role offers the same service? Depends on your employer terms and conditions. I had terms and conditions where you cannot join any competitor’s company in next 1 year from leaving the current job. I think apart from legal aspect, doing freelancing with exactly the same profile as your job may not be taken rightly by your employer. The biggest challenge for freelancers in India, especially to those who offer services in IT related areas, is poor internet speed our ISPs offer here. Are there any ISPs that offer more than 2 mbps net upload and net download speed ( Not the speed offered by companies but the real speed that we should get while browsing)? Kindly excuse me for asking too many things here but i feel it is great to share these things here. I agree and I use BSNL and I can almost what they say in there plan but I agree with you as well but not sure if I can write about that as there are wide range of ISP providers depending on GEO and I know hardly few in Kolkata. I want to know how to set unique signature for each recepient in my hotmail account. Any idea? I used hotmail account to communicate to all my customers and I need to set customised Signatures for each customer different as I offer different type of services to each of them. How to go about it? I gogled but could not find any reliable solution. If anyone out here has something to share about it? Is Gmail is having that option? Is there any third party application that can be used to customize signatures to mails send out from Yahoo, Hotmail and Gmail accounts? GMail have different signature for different account. You mean Gmail is having that option? I am not sure about that feature. Hope you are doing great . This website has really a wonderful information regarding freelancing . I am working as a full time freelancer in the field of web development for last one year.I have left my regular job and now enjoying working from home on web projects for one of my regular client.But one thing i need to know is that full time freelancing is a kind of business,then why would we don’t need a business license ? I don’t want to open any company at this moment.Please advice. Who said you cannot have a business license or trade license as we call it? Its just that you can also do freelancing without trade license. I love writing hindi poetry. What kind of freelancing can i do? You should possibly consider blogging or may be you should be contacting Waah Waah Kya Baat type of programs for your poetry. I need your opinion about Lionbridge or ButlerHill and their freelance assignments? Any idea about their web research assignments? Have you ever done or heard about their assignments any time? No I have never heard about them Salman. I got a long term project online from a company based out in US. They send me out NDA ( Non disclosure Agreement) to me now and asked my esign the same. What is the purpose of getting NDA for online assignments. How are they able to tackle it in case some one breach the agreement online? Salman, I have never been involved about breaching those agreement and so will not be able to guide you in that line. Kindly write some sample bids so as to let us know how to write and get freelance work as it has not been fruitful at all in my case. 99.com is the same boring style of any other freelance site.. No diffeerence i found. The same copy cat style of online freelance site online. I work for a foreign client from India on website development projects.I work from home.I am not in the direct pay role of his company and i have paid the tax on amount i receive in INR on Indian banks for the projects i do for him .But i am not sure weather this is the best way to do it or i should register as business proprietorship company and continue working with him since i am not in direct pay role in his company ? Please let me know all the steps i should follow. Shan, You have three options. 1. You work as freelancer and work as an individual. 2. You register a private limited company where you need to have more than one person as director. Now clients pay to your company and then you (and others) draw salary from that company. 3. You create a partnership firm where you can only withdraw upto certain limit as salary. Best is option 2 but then it also means you need to have atleast couple of directors. Your father / mother / wife / son can be the other director for the sake of it. I am more comfortable working as a freelancer but do i need any license for that ? I don’t know the Indian rules for this .Can i show the expanse in my project while i submit a tax being a individual freelancer?I consulted with one accountant and he is preparing a balance sheet for last financial year income .But i am not sure weather he needs to make a balance sheet or something, i think only paying tax will work but as i said i am not sure what are formalities to maintain. Suppose if i earn more than 10 lakes in a year then do i have to pay service tax ? In that case do i have to register as a company . Shan, balance sheet is the right choice even for people who are under the taxable income because it helps manage your money. For service tax when you make money above 10L, yes you need to pay the service tax as well but then income from ad revenue does not include service tax. Hope you are doing great . I want to launch a website on web development tutorials and sample codes . Do i need to take any license for this website? Do i need to take any copyright . I am really new in this area so your help will be a great boost for me. Shan, if you are writing those tutorials then you should be fine without any license or copyright but if you plan to post other peoples content, I will say it is not worth it. Yes i am writing the website contents on my own. I will request for some google adds on it after couple of months o so . Suppose i make some profit from ads, will i need to maintain any sorts of formality except paying taxes on the income from it. You will not be able to add Google ads before six months as Adsense now needs site to remain live for 6 months before they approve an Adsense account. No you don’t need to maintain any records apart from paying taxes. I belongs to the category 1 type that you explained here. Is there any financial benefits such as tax advantage or some sort of that a freelancer get when having a partnership firm with spouse ( Though He/she is not active in business but just for the sake of creating a partnership firm)? In general, what are the main advantages having a partnership firm when compared to working as an individual freelancer? As the name partnership firm suggest, when you want to partner with someone on some business terms and that is when you should be forming a partnership firm. There is no need to create a partnership firm with your spouse but for having a company you need more than one director and that is when if you are alone, you can add your spouse to form a company. There is no benefit taxation wise for forming a company or partnership firm but there are definitely some added advantages when it comes to forming a company. As of now I am aware of only one advantage which I encountered. As an individual your business is always freelancing and it becomes tough to get loan for a business when you are an individual. When you form a company, your business becomes based on type of company. I have formed an IT ITeS (IT enabled services). Other than that it is good to be managing business related transactions in a company too keep your personal account organized. Great article. Really helpful for guys like me who are looking for information on freelancing in India. I have been active on elance and fortunately I have been able to get work. I have 6+ year of work ex. My Query is about legal aspects of freelancing. I have am not in any regular job but I do have other sources of income. Do we need to have service tax registration for doing freelancing work? Does freelancing comes as an export or do we need some kind of export licence? My earning has not crossed Rs 10 lakh limits. I have filled my personal income tax regularly. Asking these queries as I am planning to do freelancing full time now and want to be sure about all legal aspects. Any pointers in this regard will be of great help. As an individual when you are doing freelancing through elance, It does not need any service tax registration because your income is in USD but if you are serving local clients as well, I am not sure about it. If you are serving as a company in Elance, you need the trade license because I assume your company would be hiring people as well. Still I will suggest do not take my advice as final and make sure you consult your accountant about the same as well. As far I know, when we do freelancing all along, the only thing you need to do is file your return promptly. When you receive your payments from outside India, no TDS is deducted so you need to file your annual return ( find out which ward this come under in Income tax from any registered tax consultant) and pay any required tax. If you get payments from any company in India, the company will deduct TDS from your payment and only the balance will be paid to you. However, you need to include all these incomes while filing returns so that you can get refund of TDS already paid in case your tax liability is less than the amount you paid as TDS. i am a .Net Lead developer working with big MNC in mumbai having 12+ years of experiance. Can you please guide me how and where i can start freelancing on .net development projects and what should be my hours rate for successful bid? I am B.Tech. (computer science). I worked 2+ years as an IT professional and right now I am working on a eCommerce web-development project for a local client. I started bidding on Elance, oDesk etc. to get projects. I got one project after lots of bidding but it got rejected due to some reasons. Is it required to have a registered company for successful bids? If yes, what type of registration is sufficient? Glad to a B.Tech trying hands on site like Elance. Glad to see you did not gave up and manage to get your first project. Now coming to your question, the requirement of having a company varies from project to project and I have been working as an individual only and so I don’t think it is a must. Yes I have formed a registered company in 2012 only but before that I made lot of freelancing job without forming the company as well. I write Hindi poem and want to earn money by writing on internet. At present I am trying on Triond.com by translating in English my Hindi poems. Can you tell me any Hindi site to write Hindi poem for earning. I tried many freelance website and spent so much of time bidding and following up with prospective clients but I yet to be landed in my first assignment and I am almost on the verge of stopping this. I am not a computer expert or software personnel so I can only bid for assignments for data processing and related works. Should I go for some short term software course or web related course and then start trying again? If so, which is the most ideal thing to learn ( which is easy to understand even to non software personnel) that has good scope in the online market? I learn some Seo techniques from internet but not confident enough to call myself a SEO expert because I yet to work on any assignment. The only suggestion I have for you is to be the best on whatever you opt to do. Yes Shabir I tried all my ways to land up in my first work online but no way! I do not have any expertise in technological area so I tried bidding on other supporting assignments. I tried all my way, from creating impressive profiles and covering letter but no luck yet. So I thought I will write to you and ask. Shabir, which is the ideal freelance site for people to start up freelance career? Which technology can I learn fast and get project atleast to start with? The site does not matter but what matters is your explanation that you are the best person to get this job done at a given price. That explanation every bidders give. But the matter is how to land up the one fast. Probably follow the same and I am sure you would land up for the job. I did the same for my account as well as for my company account. Nice writing on Freelancing in India. i am from lucknow i am searching for genuine money making website for last few years registered many websites but didnt get even a single rupee. i believe that i can not earn from internet, please tell me if any genuine website is there ? i m good writer in hindi poems , shayri and ghazals, can i make money by my this quality through internet by freelancing or by anyother means , please tell me in detail . i will be thankful to u .
Hi Dinesh, you are actually trying to find make money offers which are nothing but scams. Instead of focusing on finding something if you try to get your writing online I am sure you can get out of that single rupee things and can actually make decent income online. Why don’t you start a website not for earning but for sharing your writing and if it works, you can always monetize it later. With the samples of your writing online you can grab lot of freelancing work as well in the near future. Aslamo alikum Shabir bhai ! Happy Bakra eid mubarak !! Bro i am from Pakistan and i want to do online earning . plz tell me some useful online earning sites or tips. i will be very thank ful to you. Google adsense in Pakistan is being blocked frequently. I tried 2 times but my a/c blocked after earning 15 $. So now i am seeking some thing else for earning. Hi Ikram, I am not sure if Adsense blocks regions but it is the activity in your account that leads to being blocked because if they would like to block Pakistan, they would not approve the account in the first place. Now about other ways to earn money I think there are lot of them like Freelancing, Affiliate marketing and lots of others. I know quite a few online people from Pakistan doing very well in Freelancing. And last but by no means least. Eid Mubarak to you as well. Very informative writing. Thank you. The pleasure is all mine Tawhid. Shabbir Bhai, Did you write any article on Website flipping? I am a Bangladeshi. There is a possibility to visit Kolkata this month or first week of next month. May I come to your place to meet you? Tawhid, yes you can always call me when you are in Kolkata and I am sure we can meet as well. About website flipping no I have not written anything because there are very few websites that I flip and many a times I am on the other side of the website i.e. Buying. Read this article by Yaro Starak – http://www.entrepreneurs-journey.com/275/how-to-buy-a-website-and-flip-it-for-profit/ on how to flip websites. After 5 years of working full-time as a software engineer in Kolkata, I quit my job in May 2011 and now freelance full-time on Elance as a Java/J2EE professional. For last couple of years, I worked really hard part-time to build my Elance profile. Then I felt confident that I can take it up as my fulltime profession. I faced strong opposition from friends and families. Everyone discouraged so much that I had to delay my decision for a couple of months. But finally I did it. Freedom from stupid project managers, dirty corporate politics of the IT industry and the constant employee exploitation. Full time freelancing has its risks, but if one puts in sincere efforts, is a self-learner and is really passionate then the reward far outweighs the risk. Kudos to Shabbir for spreading the word and inspiring youngsters as a role model. Very nice point Shabbir. Every college going student should read this and not only Indians. I think to find a Client in major Portals like Elance, Odesk and freelancer.com is quite difficult because the bidding is one of the major part of the whole scenario, and if you are newone in these above sites then its hard to get a client in 5-6 months. Hi Sumit, I completely disagree with you on this. Yes to have success with bidding site it may sound like you need to bid lower but the fact is you must bid to your expertise and should be able to convince the buyer that you are the best person at the given price. Let me tell you an example. My minimum hourly rate is $18 per hour in Elance and you can be rest assured I compete with people who may even submit bid with $5 per hour but my Bid acceptance ratio is more than 25% and this cannot be just because of lower. I have actually written bids for many of my friends as well and you will be amazed to see that they have managed to grab their first project worth more than $2000 many time. Sir, i am working in india infoline and i have knowledge only in share market. so what kind of freelancing online job can i do ? If you are into Share Market, why not learn the art of trading and investing and either trade for yourself or start a finance management for people around you. You may not need to be doing this online as of now but once you have good track record you can have an online presence.